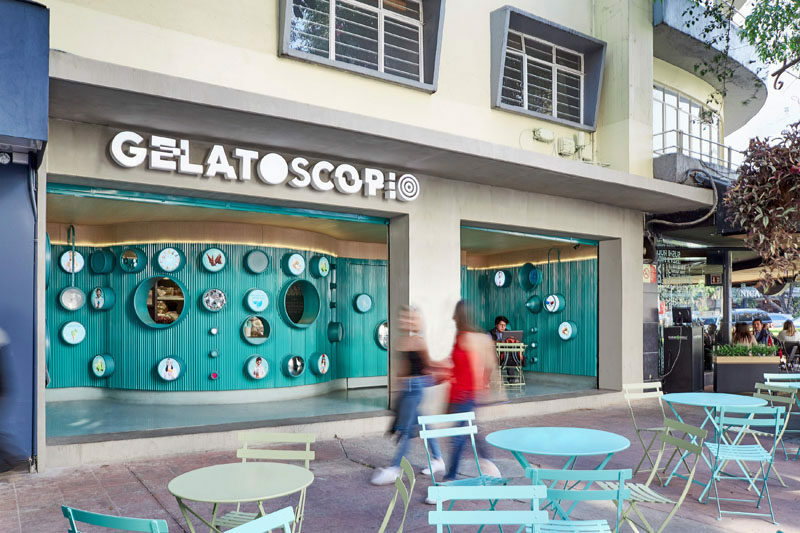 Héctor Esrawe and Ignacio Cadena of design studio Esrawe + Cadena, have created Gelatoscopio, an imaginitive gelato shop in Mexico. 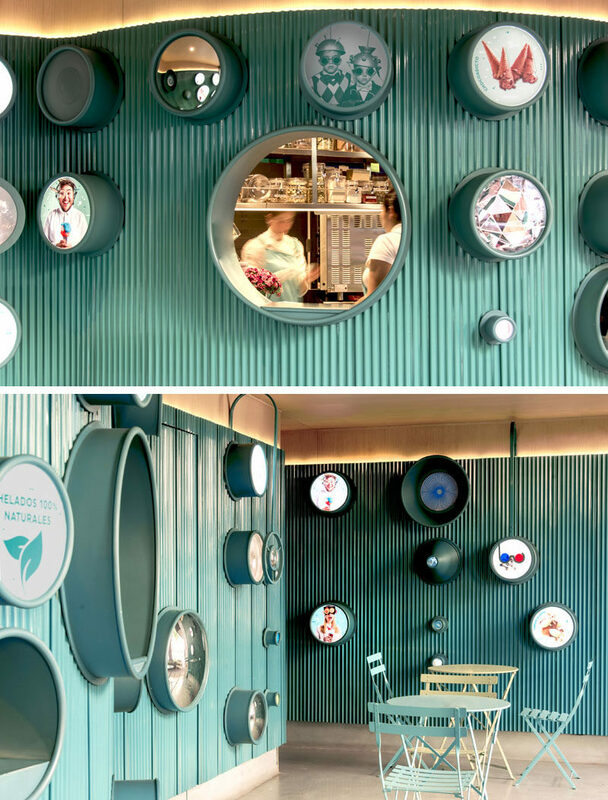 Various lenses with quirky pictures, mirrors, and kaleidoscopes line the industrial and curvaceous, teal metal ribbed shop. 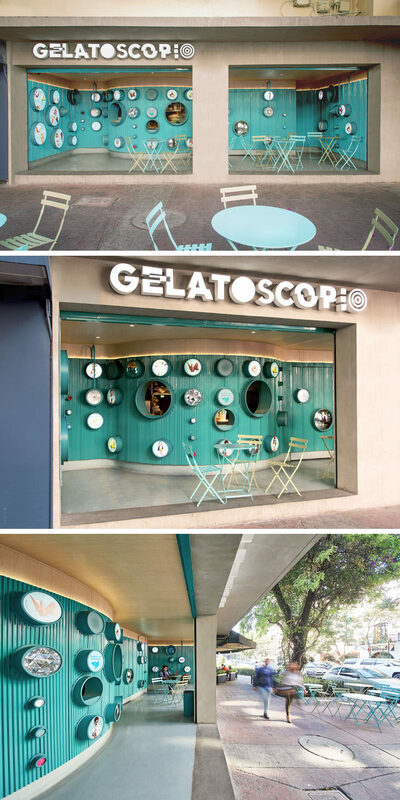 Seating on the inside and outside allow for different perspectives of the modern gelato shop. Héctor Esrawe says that, “every image is unique, like a kaleidoscope when it is turned and observed by different people.” This shop is interactive and fun with various components creating a individualistic experience. 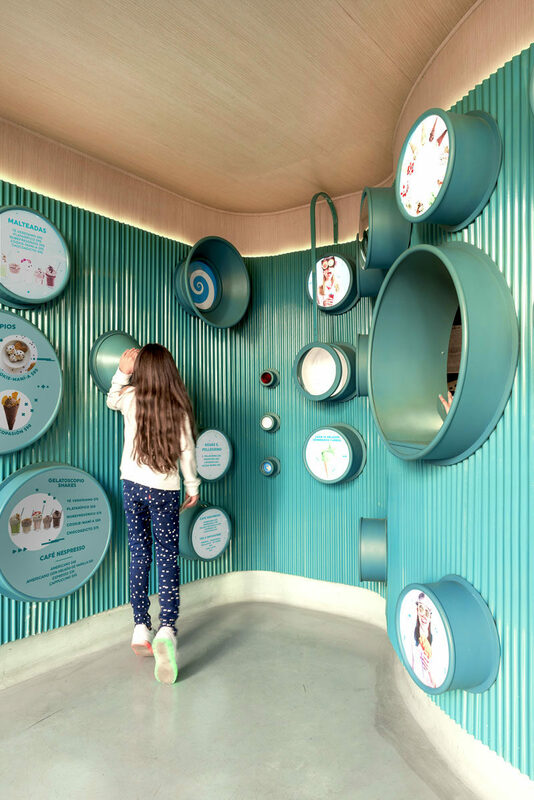 Inside, the menu of the ice cream shop is located within the different lenses on the wall, and from this angle, you can see how the interior curves in the space. 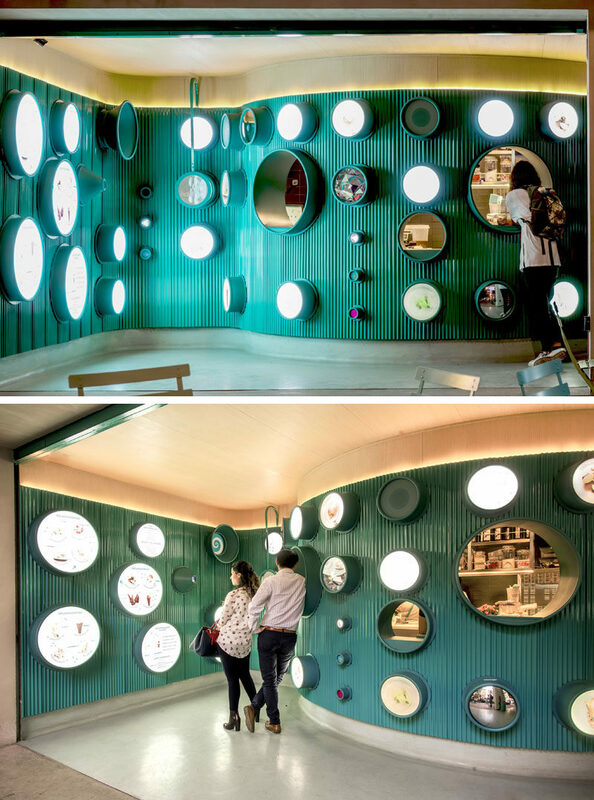 The larger lenses in the center of the shop reveal an order and pickup windows and as they are open, they offer a glimpse of the kitchen. 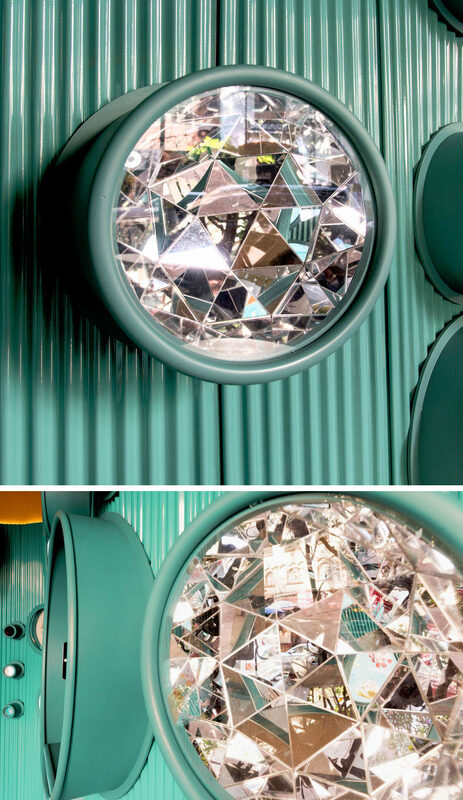 Here’s a close up of one of the kaleidoscopes to show just how funky these lenses are. At night, hidden lighting above the ribbed metal, and lit lenses make the shop appear like it’s glowing, drawing the customers in.